As you’re probably well aware, not all lenders offer debt consolidation loans for people with bad credit. In truth, many consider the risk to be greater than the potential reward. They’re caught up in a time when low credit scores were largely an indication of irresponsible spending habits. These days, less-than-perfect credit history is a sign of the financial times more so than reckless splurging. Lenders who do cater to those with little or no credit often do so for a premium. Because of this, their terms and conditions aren’t always beneficial to borrowers. In spite of all the adversity in this realm, or maybe because of it, a few viable alternatives have emerged. At the same time, an elite handful of companies have risen to the challenge of meeting the growing need. While it’s true that banks and credit unions tend to turn their backs on loan applicants who have less-than-stellar credit, some look past this single number, focusing instead on a much more well-rounded picture. Though you’re not likely to be approved for a debt consolidation loan if you show up at a local branch of one of the nation’s most well-known financial institutions with a credit score of less than 650, you may fare better with a bank or credit union with which you have a positive and well-established history. When you’ve been banking with an institution for quite some time, they’re often willing to look at their own experiences with you. An absence of overdrafts and withdrawals rejected due to insufficient funds may offset a low credit score enough to improve your odds of approval. Having a reputable cosigner might provide a much-needed additional boost as well. Though you may still face higher interest rates than some other borrowers, these aspects could greatly improve your chances of eligibility for a loan through the traditional channels. HELOCs, or home equity lines of credit, allow you to borrow money based on equity built up in your home. If you currently have a mortgage and your payments are up to date, this may be a viable option. With this alternative, you simply go to your mortgage loan provider for assistance. If approved, you’ll be granted an amount of money slightly less than the difference between the current value of your home and the balance owed on your mortgage. You can essentially use this line of credit as a debt consolidation loan of sorts, gradually drawing from the amount made available to you to pay off unsecured debts. Since this is considered a secured loan, your chances of being approved may be higher than they would be with another alternative; at the same time, interest rates may be lower. On the downside, a HELOC is a secured loan because your property serves as collateral. Should you fall behind when repayment time rolls around, you could find yourself without shelter and even deeper in debt than before. In most cases, they come with adjustable, or variable, rates, so payments will fluctuate in proportion to general interest rates. As is the case with a HELOC, a home equity loan is based on the amount of positive value in your home. Rather than having an ongoing amount to draw from a little at a time, you’ll receive the funds in a lump sum. Also a secured loan with your home being the collateral, a home equity loan may offer lower interest rates than the combined total of your unsecured debts as well as improved chances of approval when compared to other loan sources. Home equity loans typically come with fixed interest rates as opposed to the adjustable ones accompanying HELOCs. This means payments may be lower on average and would certainly be more predictable. Again, though, the risks may not be worth the reward as you could stand to lose your home if you’re unable to repay the loan as promised. In some ways, debt management plans aren’t unlike debt consolidation loans. Both roll multiple monthly payments into single ones, potentially reducing the amount of interest paid out overall. Here’s where the two options head off in different directions. Debt management plans aren’t loans at all. Through this route, you’d simply be paying off your existing debts by depositing money into a single account. From there, the funds would be distributed among your creditors per a pre-determined agreement. When seeking a debt consolidation loan, you’re basically on your own and at the mercy of restrictions generated by your credit score. With a debt management plan, you’re not held back by these limitations. You simply seek out the help of a debt specialist who’ll negotiate with creditors on your behalf for lower monthly payments and interest rates. Credit scores don’t really come into play at all when determining eligibility; in fact, these plans are designed specifically to combat financial challenges. This alternative does come at a price. You’ll pay fees for the services of a professional go-between. In spite of ultimately paying your debts in full, your credit score could still suffer at the hands of a debt management plan. Until you’ve completed the plan and successfully satisfied all included financial obligations, you won’t be able to secure any other loans or credit cards. Even then, your future creditworthiness will be reduced. 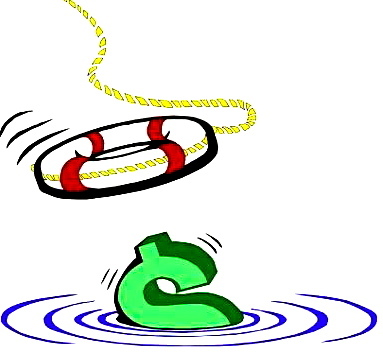 Hardship programs are essentially self-fostered debt management plans. 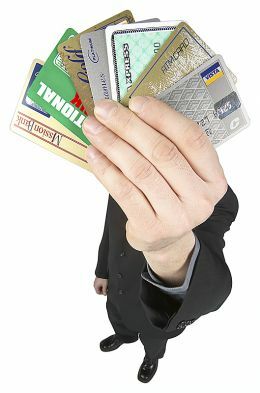 Most creditors and virtually all credit card issuers have contingency plans in place for when debtors fall on hard times. If you’re willing to be upfront with your creditors and have strong negotiating skills and a steadfast mindset, you could negotiate for reduced payments and/or interest rates on your own behalf. Some lenders tend to be more hard-nosed with debtors than with professional negotiators, so carrying out these efforts may be a bit difficult. You wouldn’t actually be consolidating your debts, either. Multiple monthly payments to various creditors would still be in place. Since some require borrowers to fall behind on monthly payments before making their hardship programs available, your credit score is likely to take a hit with this option as well. Still, you wouldn’t be subject to additional fees for outside intervention, and you’d experience the relief of reduced debt. Just as many lenders won’t cover those with bad credit, some don’t offer debt consolidation loans per se at all. That being said, a loan by any other name would smell as sweet, wouldn’t it? If you’re in trouble and need help, and if you can find them, some lenders out there really do cater to people with bad credit. For numerous legal and marketing reasons, they can’t or won’t refer to them as debt consolidation loans; instead, they call them personal loans. This doesn’t mean they can’t be used to consolidate your debts. Lenders like OneMain Financial, Avant and Marcus by Goldman Sachs offer personal loans to those with less-than-stellar credit scores. The latter two list 580 as the minimum score they’re able to work with whereas the former doesn’t state a minimum acceptable score. Avant borrowers can expect to pay about 18 or 19 percent interest on average while OneMain Financial’s estimated interest rate hovers around 23 percent. Marcus by Goldman Sachs generally offers rates of 11 to 16 percent though these may vary. Each of these lenders will look at your credit score, but their overall eligibility decisions include employment status, income, debt-to-income ratio and other factors. None of them promise to approve all applicants, but your chances could be more favorable with them than with many other loan providers. In light of the nation’s growing monetary struggles and resulting credit issues, an entirely new sector has emerged in the financial world. Peer-to-peer lenders, or P2P, are increasingly making themselves available to prospective borrowers in need of assistance. These are individuals or companies who’ve decided to invest in loan provision. They’re to the world of personal loans what venture capitalists are to the realm of business loans. Essentially, they’ve been deemed lending angels. Peerform: Offering loans ranging from $4,000 to $25,000, Peerform typically helps borrowers with credit scores of 600 or better though the company’s screening process takes into account a wide range of aspects when determining eligibility. While available interest rates run as low as 6 percent, those with lower credit scores might expect to pay closer to 30 percent. Prosper Marketplace: Prosper Marketplace generally only accepts credit scores of 640 or more, but the company is willing to work with debt-to-income ratios of 50 percent, mortgages not included in the equation. Qualified borrowers have access to between $2,000 and $40,000 with interest rates ranging from around 6 to 36 percent depending on various factors. LendingClub: As sole borrowers, applicants seeking personal loans through LendingClub must have credit scores of 600 or better; however, with joint requests, one applicant may have a score of 540 or higher. Available loan amounts run from $1,000 to $40,000. Borrowers with low credit scores typically receive interest rates of 15 to 34 percent. These are only a few of the peer-to-peer lenders currently in the marketplace offering personal loans for bad credit. For most, the application process is similar to that of other loan providers. They simply venture outside the traditional eligibility requirements when compared to certain other lenders. Financial experts preach the importance of shopping around and comparing rates and terms before committing to a personal or debt consolidation loan. Of course, filling out countless applications, weeding out rejections and doing all the leftover math for promising responses can be tedious and time-consuming to say the least. Lending brokers help take a great deal of paperwork out of the picture by allowing borrowers to fill out a single application and forwarding it to numerous loan providers. With the common loan-hunting struggles in mind, these companies are offering increasingly in-depth comparisons via their own websites. They factor in your income, expenses, credit score and all the other typical concerns, send your application to the lenders most likely to accommodate you and quickly return a comprehensive list of the most suitable possibilities. LendingTree, CashUSA.com, PersonalLoans.com and a range of other companies fall into the category of brokers. Lenders in their networks may include banks, credit unions, P2Ps, independent loan agencies and a variety of other alternatives. Available interest rates typically range from 6 to 36 percent. You might say “bad credit” is a subjective term. Some lenders extend their services to borrowers regardless of credit standing whereas others are only willing to work with those in the 600 range or better. Along those same lines, just what could be considered a “high” interest rate tends to be a bit skewed as well. Some may view 20 percent as an outrageous figure. If you’re currently paying 40 percent on another loan or credit card, 20 percent could easily be a lush, shimmering oasis in a desert of financial despair. Even the slightest drop in interest rates could amount to significant savings in the long run. If you’re having trouble securing a loan due to bad credit, all hope isn’t lost. Though it may not seem so at the moment, lenders are out there waiting to help you with your debt consolidation needs. Keep in mind, it’s vital to compare your current debts and interest rates to those of any debt consolidation loan you’re considering before signing on the dotted line. Countless people have fallen into a consolidation trap simply because they didn’t do the math. Debt consolidation can provide great benefits for individuals with bad credit scores by allowing them to get their financial lives back on track. Through the ability to combine existing bills into a single, monthly payment, debt consolidation allows consumers to pay off a significant portion if not all of their debts. The loan payment for a consolidation loan is typically at a lower interest rate than the rates on the prior multiple debts. In addition, the terms of a debt consolidation loan are often better as well. For consumers who have found themselves struggling financially each month to meet all of their bills and who need help improving their credit rating, this can be a welcome relief. They can then begin working on becoming debt-free in the long-term. Many consumers with bad credit, however, may wonder whether they can qualify for a debt consolidation loan. One of the most important aspects to keep in mind about consolidating debt is that, as is the case with any loan, your credit can affect the type of loan you are offered. Your credit score may also affect the various terms of the debt consolidation loan. Some consumers may find it difficult to obtain a debt consolidation loan if they look for assistance from the wrong source. Although a credit union or bank might offer personal loans that can be used for debt consolidation purposes, some consumers may not be able to qualify if their credit is less than perfect. Generally speaking, credit unions and banks have stringent loan underwriting and eligibility requirements. There are some credit unions and even debt consolidation firms that turn down consumers. In such cases, there are companies that specialize in working with consumers with bad credit. 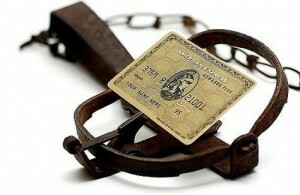 Such companies often specifically cater to individuals with bad credit. This is important as CNBC shares that a credit score is a fact of life. If you previously thought you would not be able to qualify for a loan to consolidate your debt, this can be welcome news. With that said, it is also important to make certain you only work with debt consolidation companies that are trustworthy. When looking for a debt consolidation loan, one of the first steps you may wish to take is to review your own credit score. This will give you a solid idea of where you stand in terms of your credit rating and also give you the opportunity to work toward improving your credit score. Many consumers are not aware of it; however, you are entitled to receive a copy of your credit report at no charge each year. Bear in mind there are three credit reporting bureaus, and you will need to request a free copy of your credit report from each bureau. Be sure to take the time necessary to carefully review your credit score, and analyze it for potential errors. If you do notice any errors on your credit report, do not hesitate to contact the relevant reporting bureau. Keep in mind that the higher your credit score, the better debt consolidation loan you could qualify for. This can result to lower interest rates and lower monthly payments. Debt consolidation companies can provide consumers with bad credit with a multitude of services. It can be making a budget, credit counseling, or locating the right debt consolidation loan. Such companies may also be able to provide helpful financial educational services. This can be in the form of educational material. These companies can also give tips on how to reduce debts and avoid it in the future. There are consumers who are struggling financially and who are in need of debt consolidation services for bad credit. The idea is to find a reliable and trustworthy debt consolidation company. This will help them to get back on track financially.